Let there be light – keep your team at the top of their game! Sleep, productivity and mood are all affected by light. This is because of the human ‘circadian rhythm’, our 24-hour internal clock. In simple terms, when it is dark, our brain sends a hormone signal to make us tired, while light has the opposite effect. If our circadian rhythm is upset, we are likely to feel weary in the daytime and yet have difficulty sleeping at night. Staying hydrated has many health benefits. Our long, hot summer may be over, but consuming at least 2.7 litres of fluid a day from food and drink helps to maintain energy levels and brain function. Water also reduces the likelihood of headaches and muscle cramps, while helping to hydrate our skin. If you manage an office, your staff will thank you for providing a source of good quality drinking water. It’s easy to get busy and forget to hydrate regularly, so nice tasting water will encourage everyone to drink more water. The environment will thank you too if you can get rid of some of those plastic water bottles that you probably see around you on every other desk! Evoke Projects has been reviewing the International WELL Building Institute’s standard on water quality, and we have some tips for you to consider for your next office fit-out or office refurbishment. Air quality is crucial to our health. Yet according to the International WELL Building Institute, air pollution is the number one environmental cause of premature mortality. It contributes to 50,000 premature deaths annually in the United States and approximately 7 million, or one in eight premature deaths worldwide. Given how much time we all spend in offices, it pays to think about improvements that can be made to internal air quality through effective office design. If employees breathe in contaminated air, they potentially increase their risk for health problems such as asthma, allergies and other upper respiratory illnesses. Evoke Projects looks at the new WELL Building Standard and offers some tips for improving air quality during your next office fit-out or office refurbishment project. Companies are increasingly focusing on the well-being of employees, recognising that people who are healthy and passionate about a company will be more motivated to perform well. Considering that humans can represent up to 90% of the cost of doing business, it makes economic sense too. Buildings have a vital role to play in employee wellness. In fact, you’ve probably heard of the term ‘sick building syndrome’, which refers to illness or malaise caused by an unhealthy workplace. The International WELL Building Institute is leading the charge towards buildings that advance health and well-being, and Evoke Projects has been analysing their concepts in relation to office design. As we get into 2018, Evoke Projects looks at current office design trends in office space use, materials and technology. Find out how you can introduce these design trends into your workplace during your next office fit-out or refurbishment. As we near the end of 2017, Evoke Projects looks at the workplace trends that have been widely discussed over the last year. We also give our views on what the future holds for these trends, and how your office design influences them. Is there any business that has not evolved during the last few years? Most businesses have been affected by the changing nature of work, driven by technology, generational change and more flexible working models. The evolution of work will continue and the best course of action is to ensure your business is ready for the future, whatever that might bring. At Evoke Projects, we loved Anetta Pizag’s chapter on evolving workplaces and office design in her book, Create a Thriving Workspace. There was so much good material to consider that we cannot cover it all in this article, but we have highlighted some ideas for your next office fit-out or refurbishment. We all know how much better we perform an activity when we are motivated and engaged. 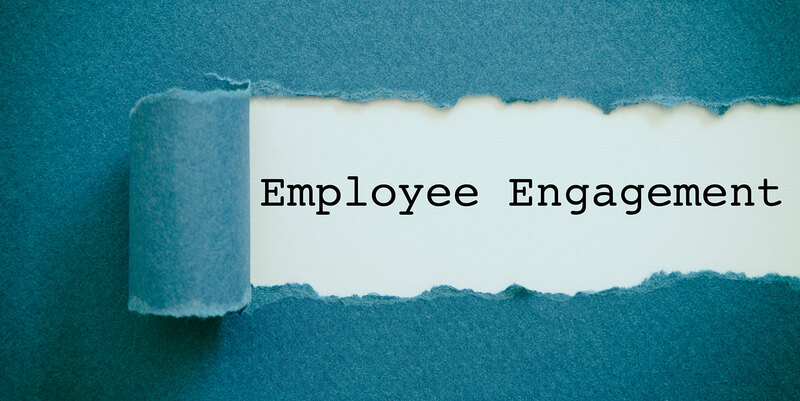 In the workplace, truly engaged staff do not regard work as simply payment for a certain number of hours; they really care about the outcome and results of their efforts. Think about the customer satisfaction and profits possible from a 100% engaged workforce! Fortunately, there are well-researched office design principles to help you achieve this during your next office fit-out or workplace refurbishment. The Evoke Projects’ team have been discussing Anetta Pizag’s book, Create a Thriving Workspace, which covers office design strategies for an ‘engaging business’. There are many thought-provoking points in the book, and we have highlighted some key considerations for your next office fit-out or refurbishment. If you are a regular reader of Evoke Project’s workplace articles, you will know about the correlation between happiness at work, motivation and productivity. Retaining a happy band of workers makes good sense because your company will reap the rewards of higher quality output and better customer satisfaction. People are happier when they feel valued and cared about, so Evoke Projects looks at how you can create a more caring workplace during your next office fit-out or refurbishment.